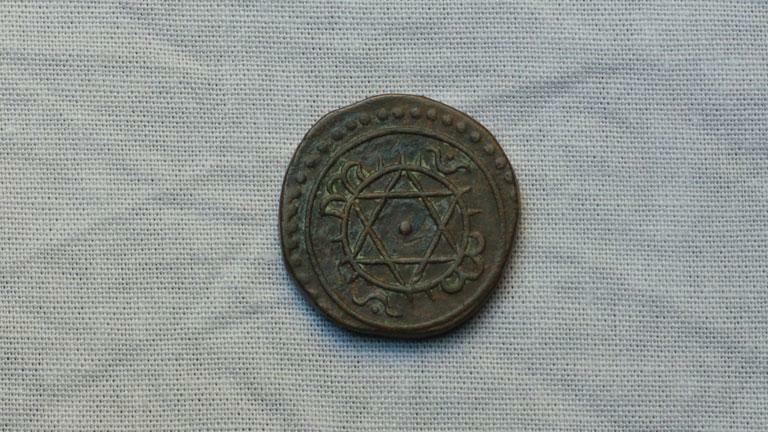 A coin which had been in use during the reign of the former Maharaja of Travancore, Sree Moolam Thirunal ( 1885 - 1924 CE), is Half Chuckram. 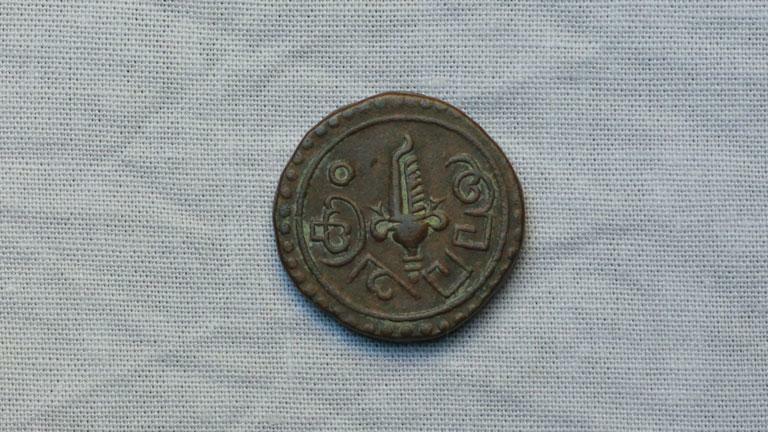 This copper coin in round shape weighs approximately 5.03 g. Obverse: Conch symbol is depicted along with “Ara Chuckram” in Malayalam letters. Everything is presented within a circle of dots. Reverse: Decorated Sudarshana Chakra is visible.